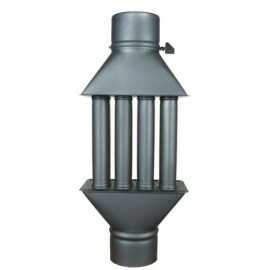 Chimney BELL Hat Stainless Steel Chimney Cowl 100 to 300 mm Diameter Flue Chimney Fittings for Single wall Chimneys BELL shaped chimney cowl made of Stainless Steel 8 Different diameters are avail.. 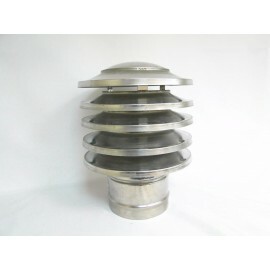 Brand NewMade from Galvanized Steel 130 mm Diameter For Wood Burning Stoves / FireplacesBEFORE PURCHASING THIS PRODUCT, PLEASE MAKE SURE IT MEETS ALL TE STANDARDS AND REGULATIONS IN YOUR COUNTRY AND R..
CHIMNEY COWL Stainless Steel "JAPAN TYPE" Cap fit 80mm to 400mmRound Bottom ShapePlease choose the size you need from the drop-down menu above! 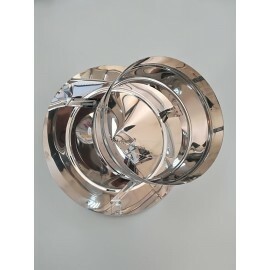 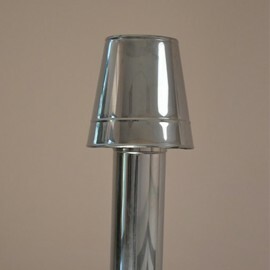 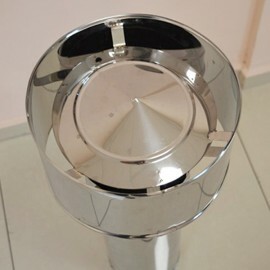 Made of High Quality Stainless Steel.. 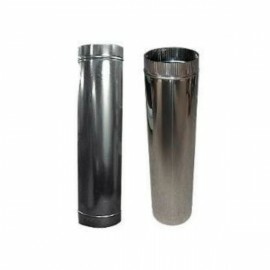 Stainless Steel Static Chimney CowlType: StaticFuel: For all fuel typesMaterial: Stainless Steel / InoxPlease keep in mind that when you choose the diameter it will be with about 2 mm bigger - this wi..
Chimney Cowl Stainless Steel Chimney Top Static Inox Diameter 100 to 350 mmRound Bottom ShapePlease choose the size you need from the drop-down menu above! 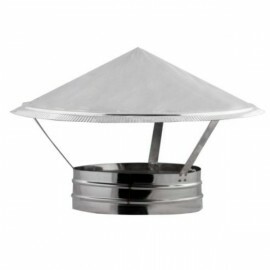 Made of High Quality Stainless Steel..
Chimney Cowl Stainless Steel Chimney Top Static Inox Type FRANCE Diameter 100 to 300 mm Round Bottom ShapePlease choose the size you need from the drop-down menu above! 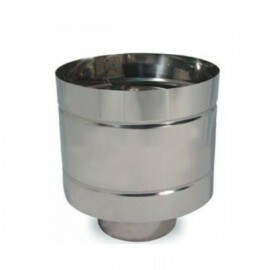 Made of High Quality Stainless..
Chimney Double stovepipe diameter 100-150mm to 300-350mmType: StaticLength: 1 meter (1000mm)Fuel: For all fuel typesMaterial: Stainless SteelPlease choose the size you need from the drop-down menu bel..
Chimney Flue Reducer with Damper Made of High Quality Steel 2 mm thickness Reducec the diameter of a flue exit from 150mm to 120mm Length of the Reducer 25 cm BEFORE PURCHASING THIS PRODUCT, PL..
Chimney Flue Reducer with Damper Made of High Quality Steel 2 mm thickness Reducec the diameter of a flue exit from 150mm to 130mm Length of the Reducer 25 cm BEFORE PURCHASING THIS PRODUCT, PL.. 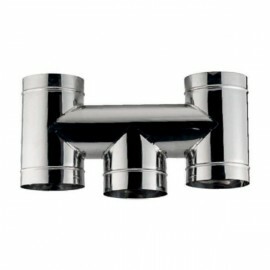 Stainless Steel H shaped Chimmney Hat Fittings for Single wall Chimneys H shaped chimney cowl made of Stainless Steel 8 Different diameters are available:100 mm, 125 mm, 150 mm, 180 mm, 200 mm, 23..
Chimney Reducer Connector Adapter from 100-125mm to 300-350mmDifferent Diameters From :100-125mm to 300-350mm Made of High Quality Steel 2 mm thicknessPlease choose the size you need from the drop..
Chimney single stovepipe diameter 80 to 350mmType: StaticLength: 1 meter (1000mm)Fuel: For all fuel typesMaterial: Stainless SteelPlease choose the size you need from the drop-down menu below! 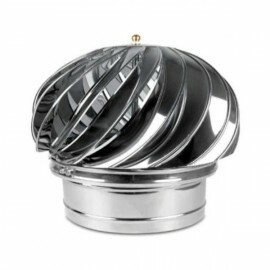 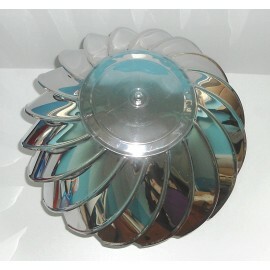 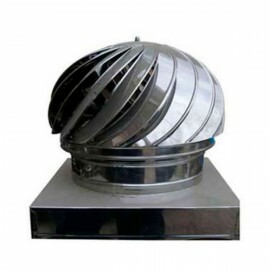 Made o..
CHIMNEY SPINNER COWL Stainless Steel Spinning Wind Rotating Cap fit 17x17 to 50x50mmSqare Bottom ShapePlease choose the size you need from the drop-down menu above! 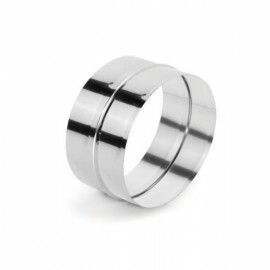 Made of High Quality Stainless Ste.. 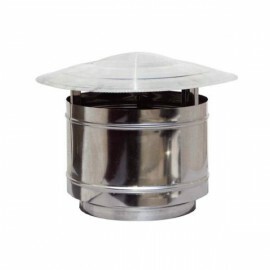 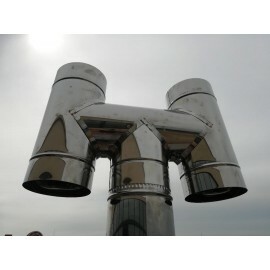 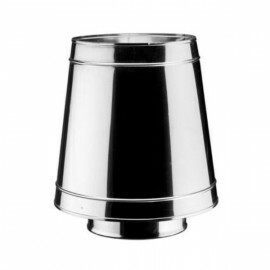 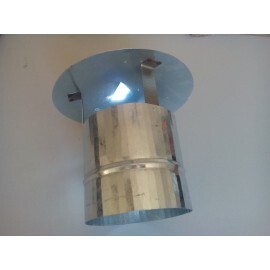 Stainless Steel Rotating Chimney CowlDiameter: from 80mm / 3.15" to 350mm / 13.78"Type: RotatingFuel: For all fuel typesMaterial: Stainless Steel / InoxPlease choose the diameter you need from the dro..
Chimney Flue pipe Reducer Connector Adapter 130 mm to 120 mm enamelledThese tubes are made of soft thin iron ! 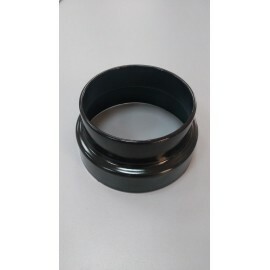 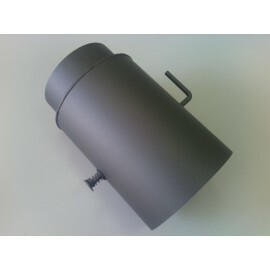 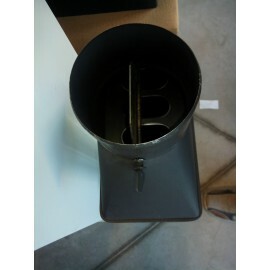 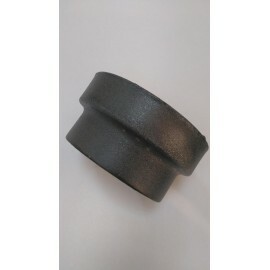 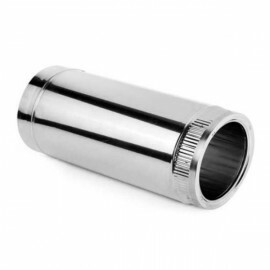 The responsibility is of the installer of the stove to determine if the flue pipe is ..
Chimney Flue pipe Reducer Connector Adapter 150 mm to 130 mm .These tubes are made of soft thin iron ! 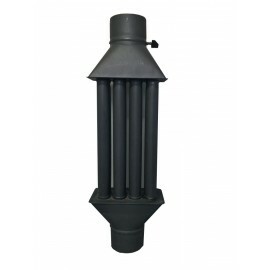 The responsibility is of the installer of the stove to determine if the flue pipe is appropriate ..
Dimensions: 840x280x155 mmDiameter of the flie pipe: 130 mmThis Flue Pipe must be installed after the stove exit and it will save up to 30% energy for you. 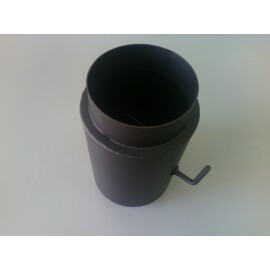 It has a valve, so you can regulate the suct..
Dimensions: 635 /280 / 150 mmDiameter of the flie pipe: 130 mmThis Flue Pipe must be installed after the stove exit and it will save up to 30% energy for you. 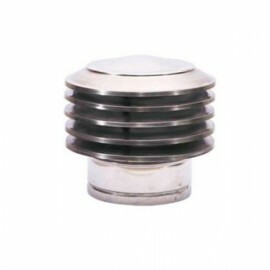 It has a valve, so you can regulate t.. 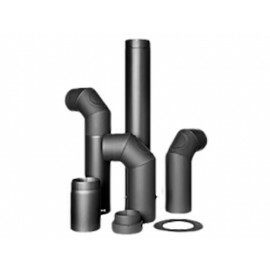 Connecting Flue Pipes 150 mm DiameterMade of High Quality Steel 2 mm thicknessComponents:Straight Pipe - 1000, 500 or 250 mm LengthStraight Pipe with Damper - 250 or 500 mm LengthSolid Elbow 45 Degree..